Micaela and Josh will be entering 2015 a married couple! 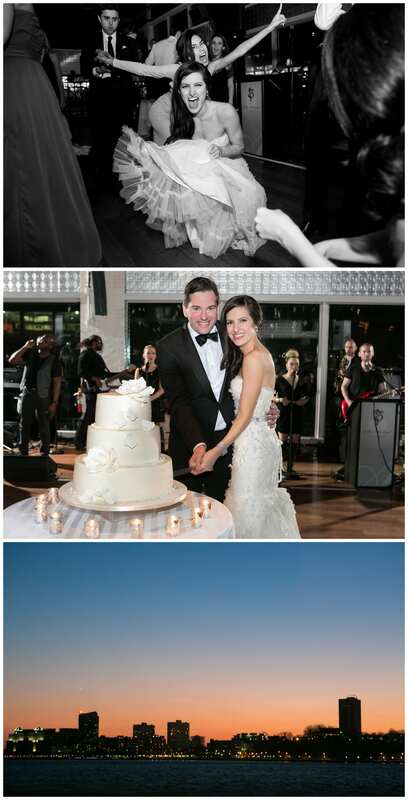 The duo tied the knot at The Lighthouse at Chelsea Piers on a beautiful summer day in August. Jon from Events by Sterling provided the live entertainment for the evening while the simple yet elegant florals, from the chuppah to the bouquets and centerpieces, were designed by Botanical Designs. Congratulations to the happy couple and to all our happy couples in 2015! We wish you the best! Kristin and Peter were all smiles on their wedding day as they tied the knot at the Chelsea Piers Lighthouse. The bride’s “something blue” were here shoes-a fun royal blue paired with her strapless white bridal ballgown. How adorable are the little flower girls walking down the aisle before Kristin and Peter tied the knot!!?!! Later in the night, the bride and groom hit our photo booth for some great shots with all their friends before heading outside for some beautiful sunset photos with our photographer, Pedro. Another gorgeous wedding! Congrats, Kristin and Peter! Kristin and Peter Pose in our Photo Booth on their Wedding Day! 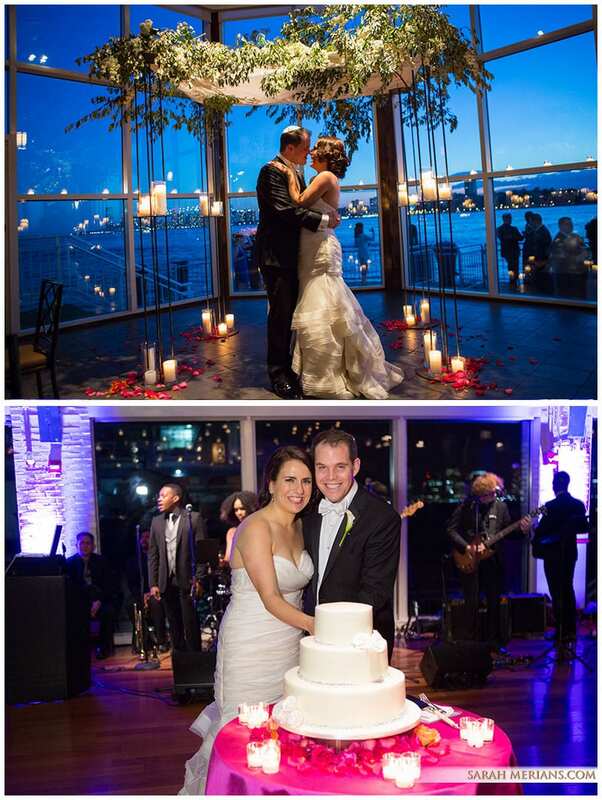 We had a great time celebrating with Kristin & Peter at their Chelsea Piers Lighthouse wedding! Our photographer, Pedro, enjoyed working with the happy couple, documenting all of the highlights of their wedding day. No guest was too shy for our photo booth- they had a blast! Take a look at some of the great moments below. Despite the drizzly rain, Danielle and Brian’s wedding day was perfection. The happy couple, both musicians who performed a song together at their wedding reception, were all smiles as our photographer, Tina, documented their day. Getting ready is so easy for guys! After the men got in their suits and ties, they hit the driving range at Chelsea Piers, perfecting their swing! The girls, on the other hand, took their time and enjoyed posing for pictures with bride Danielle in her suite. When Brian first saw Danielle in her wedding gown, tears welled up in his eyes. The duo posed for some beautiful portraits before heading down the aisle to become husband and wife. 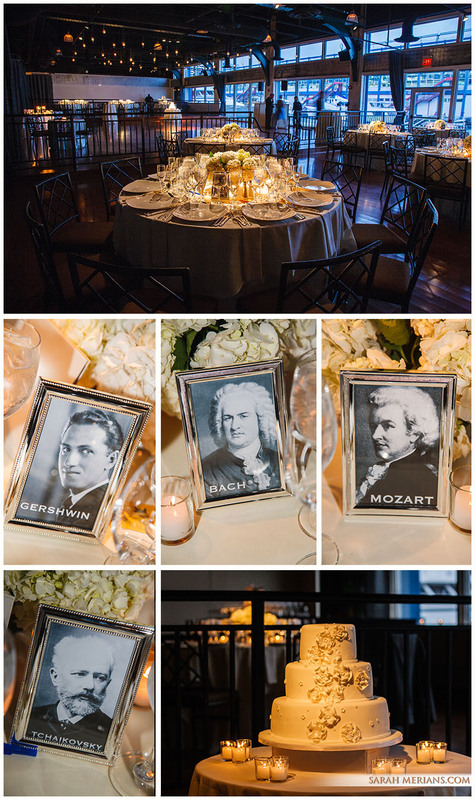 Music was the theme of the night as each table was named for a classical composer. And, as guests said their goodbyes, they stopped at the Waffles & Dinges truck for a delicious Belgian Waffle to-go. What a special (and delicious) way to end a perfect wedding. Congratulations to the happy couple!